With Brexit bogged down and the Tories in meltdown, Labour looks set to tip the European Parliament elections to the center-left for the first time in a generation. Another own goal for Theresa May. Theresa May at the European Parliament in Brussels on April 10, 2019. Leon Neal / Getty Images. Last week in Brussels, Theresa May spoke to European Union leaders for just over an hour, with the British prime minister begging for a short extension to the deadline for the United Kingdom’s departure from the EU. 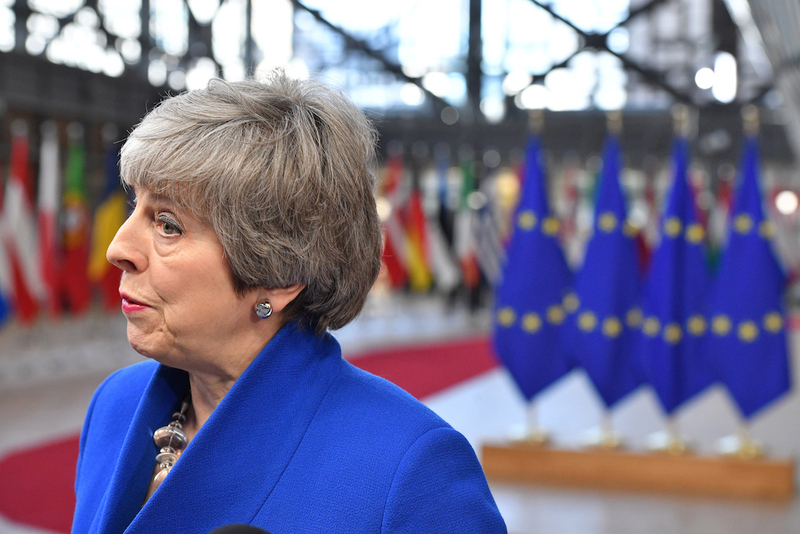 Originally scheduled to leave on March 29, then on April 12 if May failed to get her withdrawal agreement through Parliament, or May 22 if she did, the UK after a long dinner meeting finally won agreement to a “flextension” until October 31, with an earlier exit if anything was resolved before then. May had begged for a much shorter extension, until June 30, but EU leaders had no faith in her ability to agree anything by then and said that they were sick of holding endless summits for the benefit of a country and a prime minister terminally unable to agree anything. The majority of the dinner guests pushed for an exit date of either March 29, 2020, a year later than the original scheduled date, or December 31, 2019. But the French president, the centrist darling du jour, Emmanuel Macron, vetoed both dates, forcing the Halloween deadline. Other leaders were reportedly furious with Macron’s behavior. May’s keenness for a short extension stemmed mostly from a desperate attempt to avoid fighting the European elections: partly because her party and candidates hate the idea of having to battle for seats they will only hold for a very short period; but also because the Conservatives will almost certainly be wiped out at the polls. The United Kingdom Independence party (UKIP), Nigel Farage’s erstwhile political home, are also expected to poll terribly, leaving Labour with a huge boost. A Labour landslide in the European elections will naturally help Corbyn, but it has far wider implications: under the rules of the EU Parliament’s Spitzenkandidat system, if Labour wins seventy-three seats, it will tip the balance of the European Parliament from center-right to center-left, likely handing the presidency of the European Commission to the socialists for the first time since the 1994 European elections. Back in January, poll projections showed socialists with a deficit of 57 MEPs (members of the European Parliament) versus the center-right European People’s Party. By February it had narrowed to 46 MEPs. But crucially, given Brexit, the polling naturally assumed the parliament would include no MEPs from Britain and the north of Ireland. Add in the seventy-three Labour MEPs projected to win, and the power balance in Brussels shifts heavily leftwards. David Cameron has been rightly castigated for calling the referendum in a desperate yet opportunistic attempt to mollify Tory MPs threatening to leave the party for UKIP. But now his decision to withdraw Conservative MEPs from the EPP has wider ramifications for the Right in the EU: with Tories not counting towards the center-right’s bloc, the EPP loses out further. When UK MEPs are put into cold storage after Brexit is finally enacted, the European Commission president will remain in place, and despite losing a number of Labour MEPs, the Left still benefit from this position. In the last week, EU leaders made clear their immense frustration with May, stating they were keen to get on with business but constantly mired in messy summits to attempt to untangle Brexit, with Britain acting like a toddler throwing tantrums for constant attention. Now, thanks to Cameron’s previous decisions on leaving the EPP, and with May’s slow progress on Brexit almost certainly forcing the UK to participate in the EU elections, the Tories may also have gifted the Left a muted but possible victory in the European Parliament.